This is a big weekend folks with a heap of music. First the Roydon Payne gig at The Parade Hotel this Friday night and then on Saturday night we have the second of our Big Blues Attack Jams at the South Bunbury Footy Club at the JE Hands Memorial Park off Blair Street, .If you are a club member and you want to play WE WILL GET YOU UP ON STAGE we promise. So bring a friend and come along for a Saturday night blast. 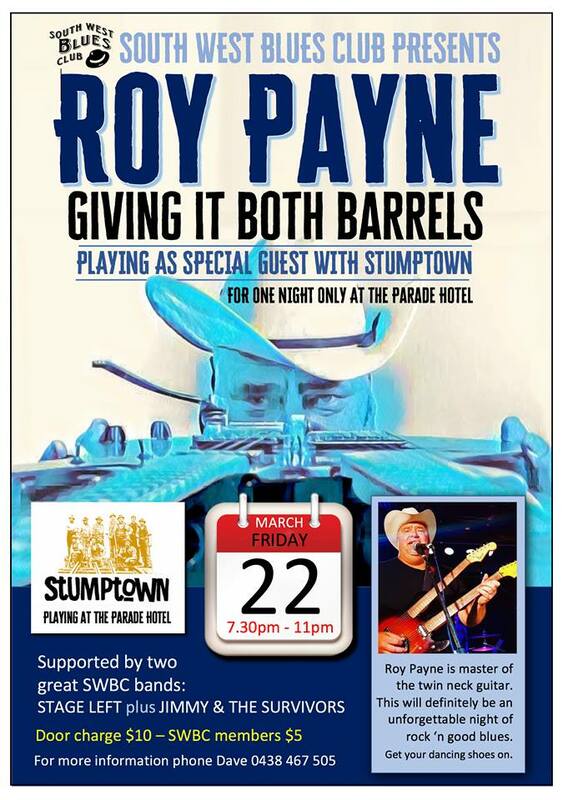 This time last year Roy Payne toured with the fabulous Toni Swain and he is back, this time with his twin-neck guitar. 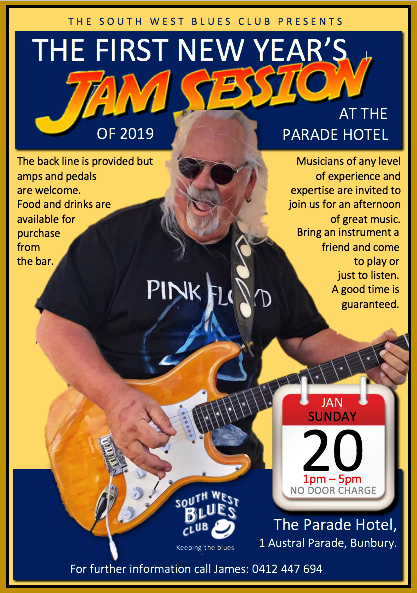 We have three great bands playing The Parade on the 22nd and Roy will be joining the fray for what promises to be an evening of kicking good music. 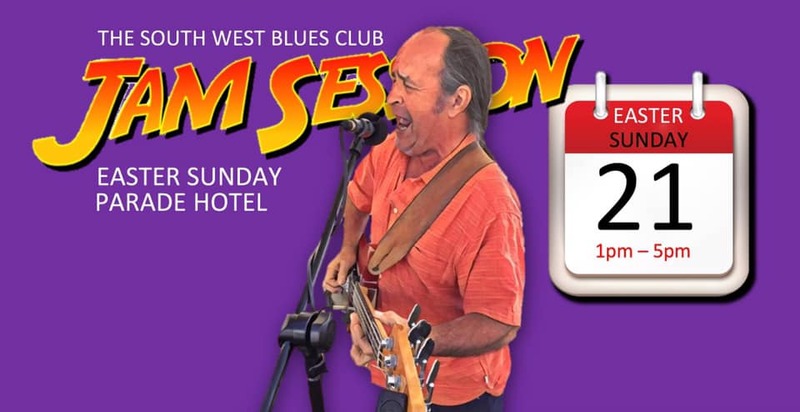 Roy has told us he just wants to let loose and the South West can’t wait to hear his guitar magic. 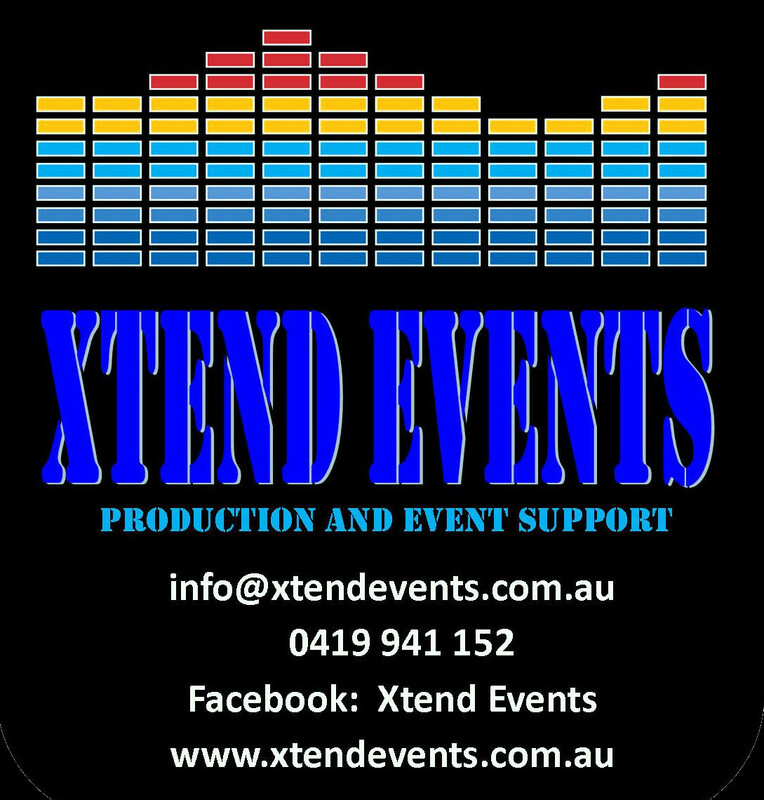 Come along for a smashing good night. This is a big month as we continue to enjoy summer outdoors on the edge of the Bay. This month’s poster girl is the beautiful and talented Zairyn. Last jam day she stunned everyone when she got behind the microphone for the first time. It’s what jams days are all about. 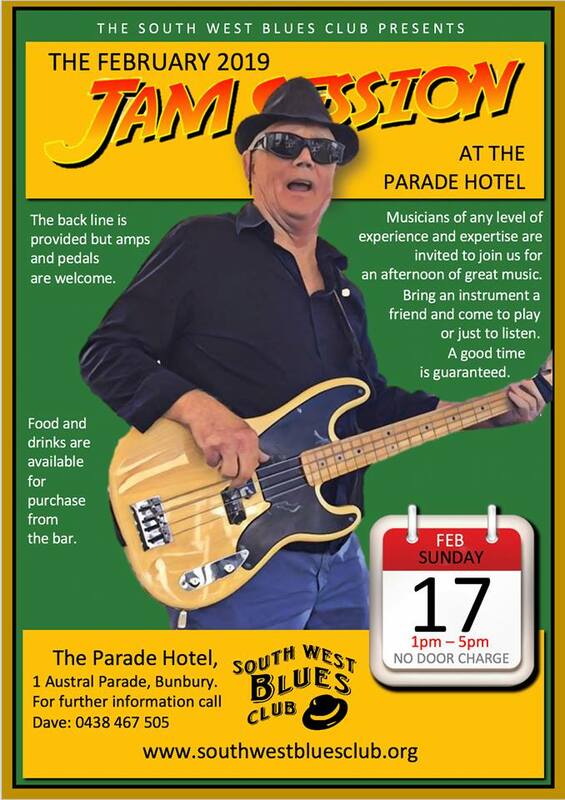 Dust off those instruments and join us for an afternoon of fun and fellowship, Sunday 17th at 1pm, the Parade Hotel. We hope you have this in your diary. Yep it’s that time of the month. 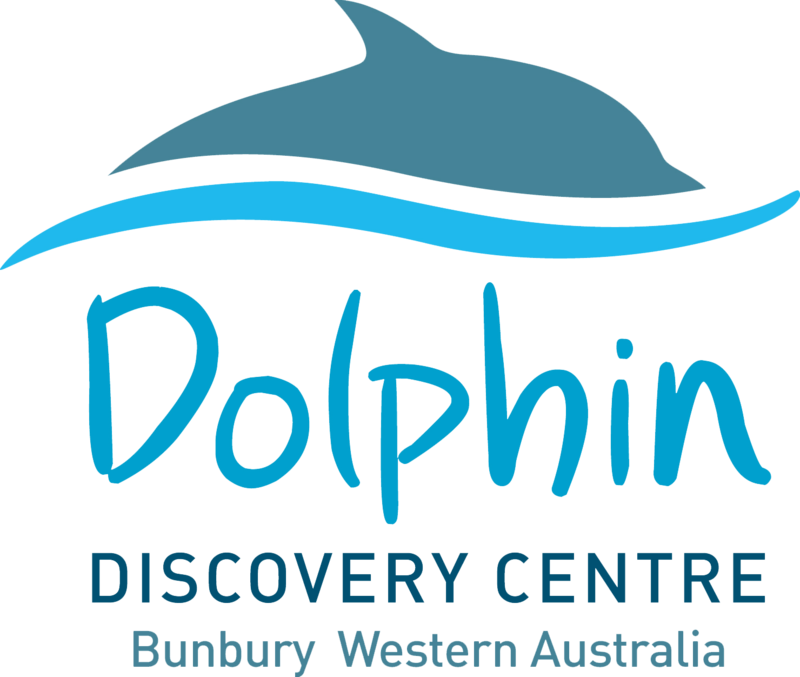 If you come to play we will guarantee you will get a slot. The weather is perfect for an afternoon on the edge of the bay with good friends and damn fine music. See you there. If you thought finally you could have a quiet Sunday, then think again. 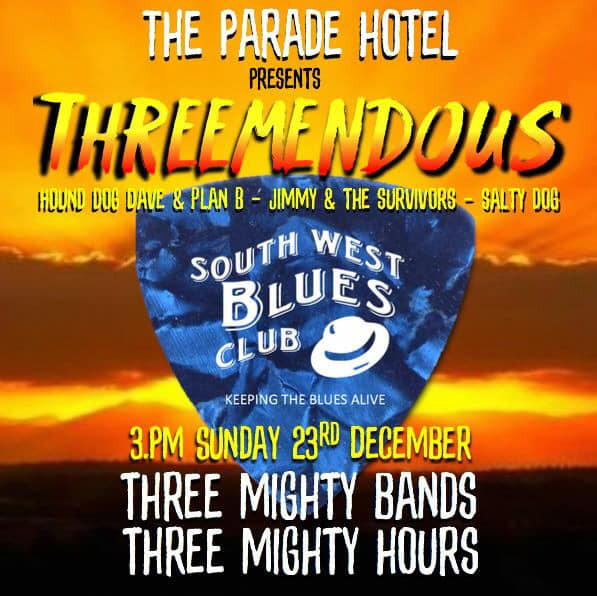 We have another Threemendous Sunday lined up at the Parade Hotel this very Sunday. 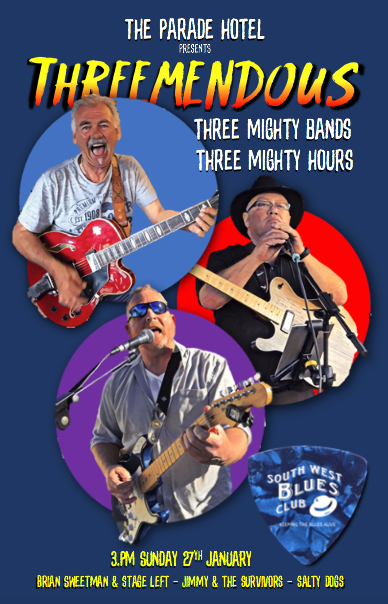 Three Blues Club Bands will play for three hours. Brian Sweetman and Stage Left, Salty Dogs and Jimmy and the Survivors. 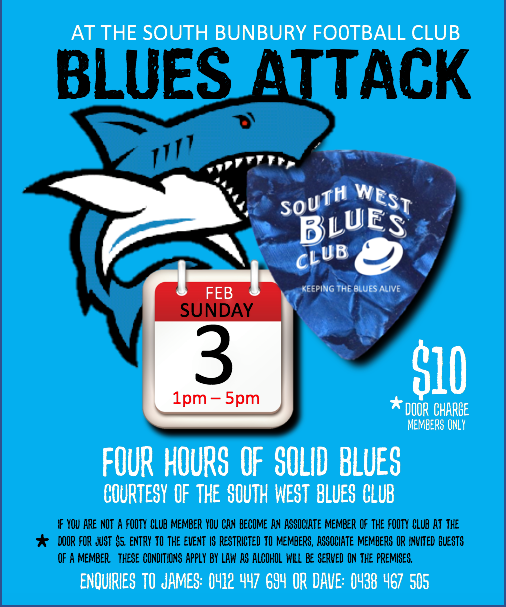 You may have heard these bands at a Jam but this Sunday they really get to crank it up for a one hour set. Come on there’s all the rest of the year to recover. Polish January off properly. 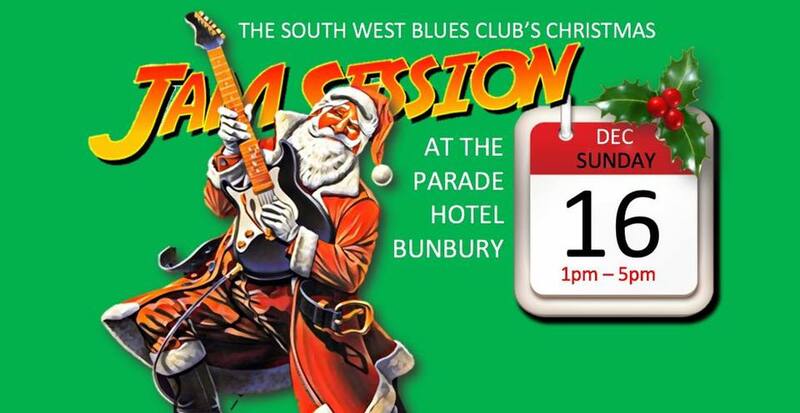 This is the first of our invitational sessions at the Parade Hotel. 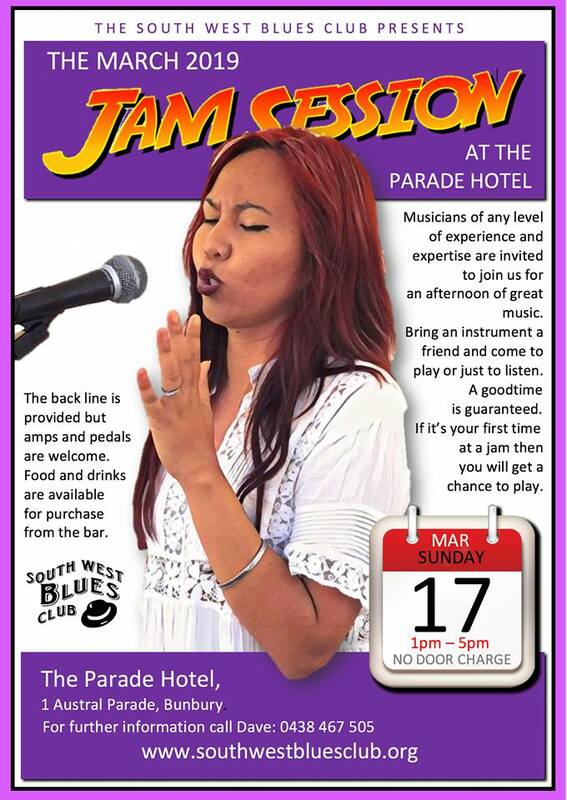 The Parade have asked us to provide bands for regular three hour sets starting on Sunday 23rd of this month. 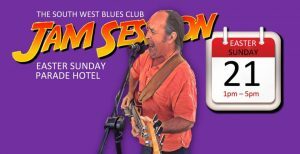 The club is blessed with more than eight musician combinations and bands so this event is an opportunity to see our talent on stage. Come on down for three hours of great music at the edge of the bay.